Well, it’s been a long, hard week, but I’m starting to get my mojo back! As you may know from my last post, I had a bad bout with my OCD and it really took everything out of me. It’s hard to understand if you’ve never experienced it, but just compare it to being absolutely exhausted, to the point where you can’t think straight. That’s pretty much how it is – kind of. I think God heard my prayers (and all of those who were praying for me) because today was better. I felt more like myself – more alive. And, with that feeling, my inspiration to write came back – hurray! This is life. Some days will be harder than others. I know that, but it still doesn’t make it easy. However, it does make me more grateful for the days that I feel alive and well. With that being said, I have a fun project to share with you! We recently finished a small remodel on our house (that’s a future post) and in turn had to replace our electrical box, which happens to be in our master bedroom. The picture that once covered it no longer fit, so I was challenged to find something new that would cover this obtrusive accessory. I spent weeks looking for something that would be just the right size. I even had one of the local décor shops looking for me as new shipments arrived. No luck. On a whim, I stopped by World Market one day to look around and ended up finding the perfect solution. I can’t tell you how excited I was. It was like I hit the jackpot – well, not really, but almost! 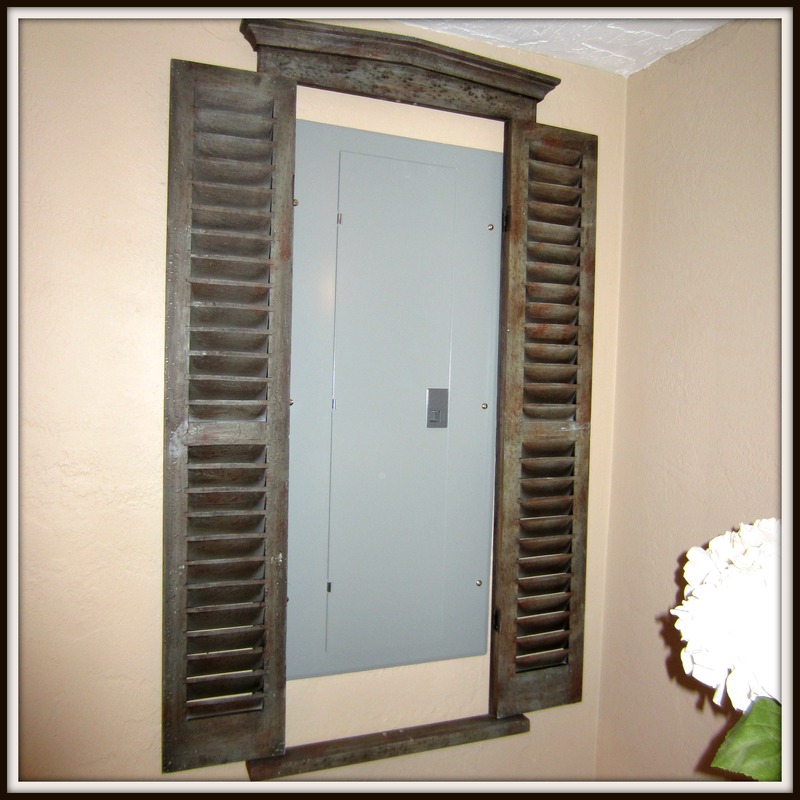 At the time, the faux shutters opened to a mirror, but after looking at the back I realized I could remove the mirror and create an area that would perfectly frame the electrical box. Once I got it home, I went to work removing the hardware from the back, which was pretty simple despite having TONS of tiny little screws. My husband took a shot of me hard at work – who doesn’t like a woman holding a screwdriver?! Once I got the mirror off, I measured and hung it over the electrical box – it fit perfectly! Now, when we need to access the box (because we do tend to blow fuses now and then) we can simply open the shutters and there it is. Plus, they’re super cute and add a fun flare to our basement bedroom. Now, I just need to find something to do with the extra mirror! Guess it’s time to get those creative juices flowing! 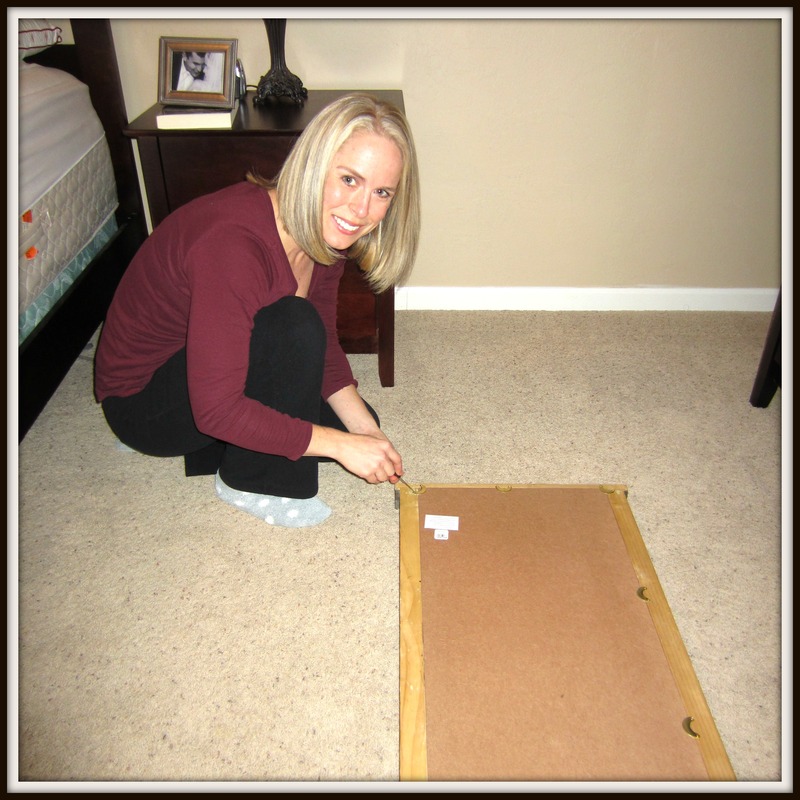 I’d love to hear how you’ve repurposed new or old furniture around your house! This is a fabulous idea!!! 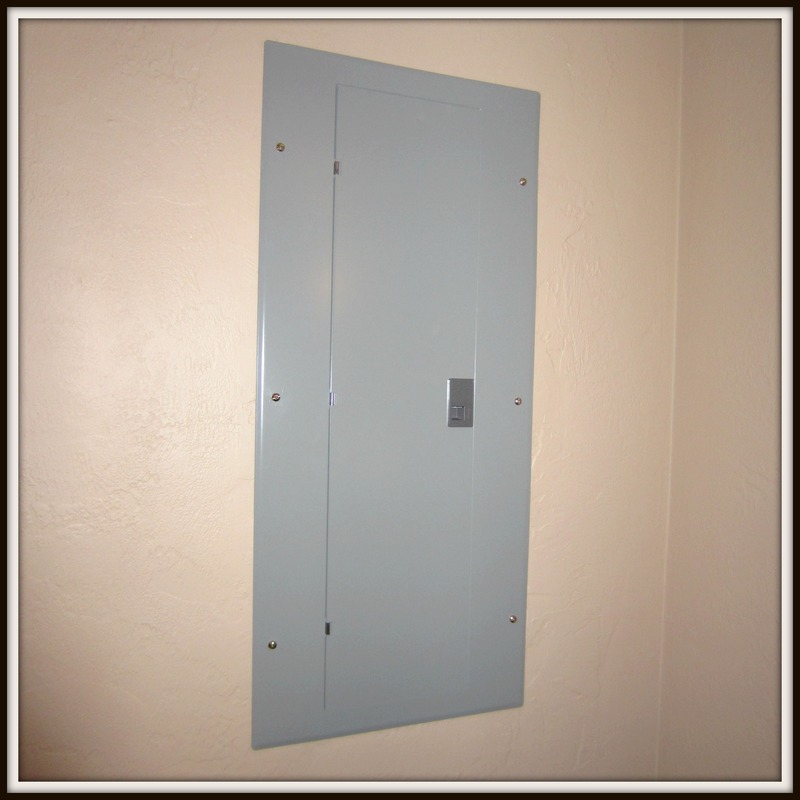 I have an electrical box in my laundry room and Hubby wouldn’t let me cover it with a picture. He just might go for this idea. Thank you for the inspiration. And I am very happy to hear you are getting back your mojo! For me, I always know when I’m feeling better when my creative thinking comes back! Good for you!!! Thanks, Laurie! I was SO excited when I found them! 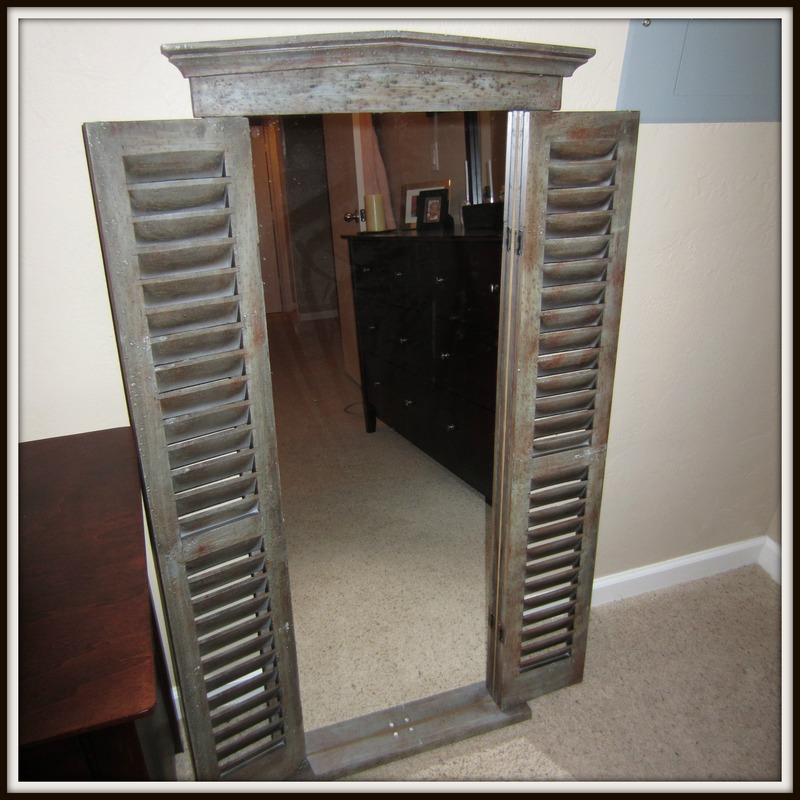 Like I said, World Market had them, but I would think you could do something similar with old window shutters. Good luck! GENIUS! 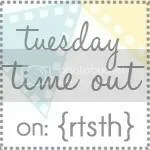 I’d love for you to come link this up at my Tuesday Time Out! Done! Thanks for stopping by and for the suggestion! That seems to be very appreciable efforts made by you. Very few ladies go for this. It is really looking very beautiful and attractive. Your hard work is easily visible in that creation. Congrats for getting your Mojo back. Living in rented apartments and town homes makes it difficult when I have come across situations like you and I did. I purchased a new table, and completely without planning, I found a mirror that perfectly matched the table. The mirror amazingly covered up the box and hung from the top of the wall in the dining area making the room look bigger. It was a great “fix” without planning. It was very serendipitous!!!!! 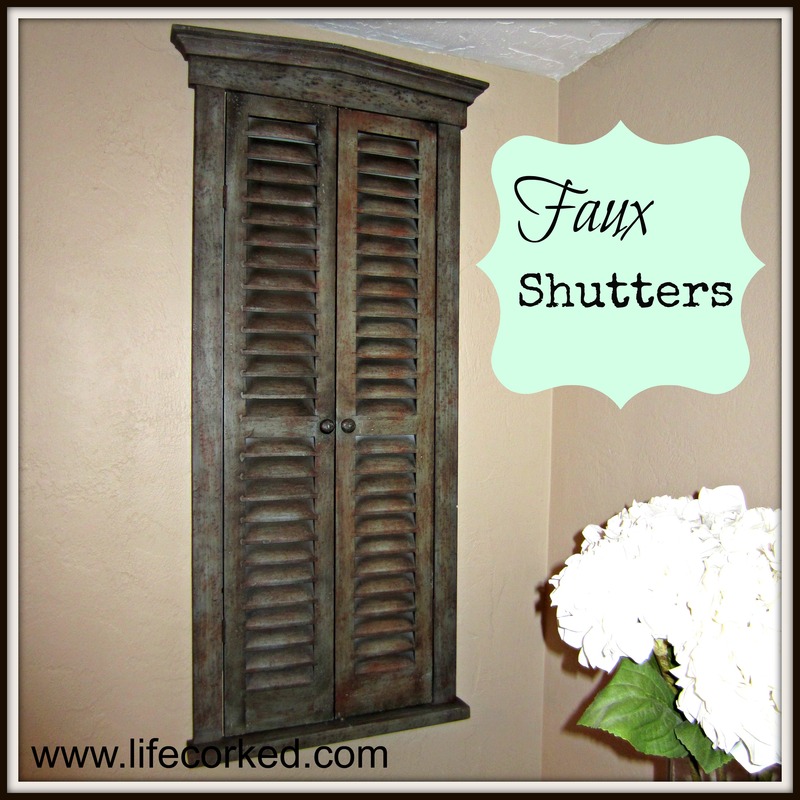 I will remember your shutters, though. That was a great fix, too! Thanks. I love this! Great idea! Don’t you feel like the most clever person in the world when you find “fixes” like ours?! Thanks for sharing and thanks for stopping by!